Unfortunately, one of the main problems with ovarian cancer is it’s often diagnosed late, resulting in a poor prognosis. Experts have reported that under half of women (46 per cent) diagnosed will live for at least five years. This is where AstraZeneca’s new product can help. 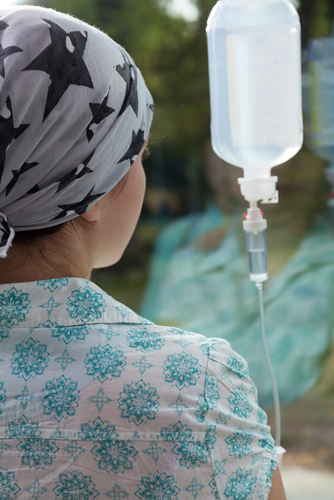 Lynparza has recently been approved in the EU and US to be administered in conjunction with platinum-based chemotherapy for the treatment of advanced BRCA-mutated ovarian cancer. The active ingredient in Lynparza, Olaparib, is a poly ADP-ribose polymerase (PARP) inhibitor that exploits tumour DNA repair pathway deficiencies to preferentially kill cancer cells. Tests have shown that, on average, women who were treated with Lynparza lived significantly longer without the disease deteriorating than those patients who were treated with a placebo drug. Chief Executive of Cancer Research UK, Harpal Kumar, hailed it a success: “This drug offers new hope to women with advanced ovarian cancer by targeting weaknesses cancer cells have in repairing damaged DNA. Professor Steve Jackson from the Department of Biochemistry, School of the Biological Sciences at the University of Cambridge, UK, whose research established the basis for the use of olaparib, hails the approval of Lynparza as a success. Steve said: “It’s wonderful to learn that olaparib is set to become a licensed drug and soon available to advanced ovarian cancer sufferers. This project highlights a significant milestone in the advancement of targeted medicines. What an achievement for both Steve and AstraZeneca – a company where chemical engineering definitely matters. If you are working in targeted drug development, why not get in touch and share your research. Not only have AZ got the product to market they will have spent considerable time and effort making sure that they can produce a high quality product. Chemical engineers are involved all along the pathway from discovery to manufacturing the final product.